Congratulating and sending off one of my best friends as she moves from Nashville to Boise, Idaho to move up in her career. So proud of you Katy, but I’m going to miss you terribly!!!! 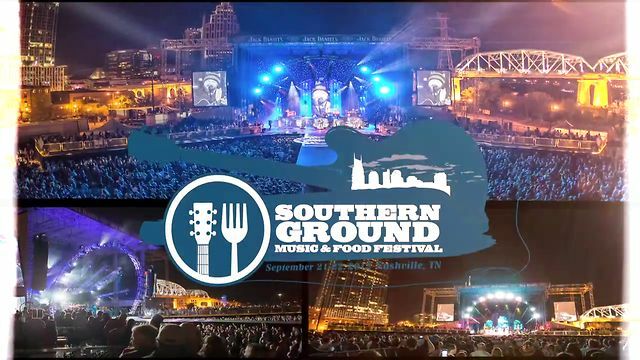 Hope y’all have some fun relaxing weekend plans – I’ll be at the Southern Grounds Music Festival dancing to Grace Potter and the Nocturnals, Zac Brown Band, Jason Mraz, Willie Nelson, and more! Whooo! Look for a wrap up of this in the coming weeks PLUS lots of Miss Tennessee USA coverage (I have only one week left with the kingdom! 🙂 ), an inspiring story of a breast cancer survivor in her 20s, how to accessorize with statement jewelry (with a giveaway from Mad Jewels! ), etc.! Don’t forget to enter this week’s Garden of Life Raw Fit Giveaway! This entry was posted in Entertainment, Health and Beauty, Hipster/Beauty Queen Ramblings, Music and tagged Brenna Mader, Garden of Life, green smoothie, Nashville Hair and Makeup Artist, Smokey Mountains, Southern Ground Music Festival, Wild Rose Herbal D-Tox on September 27, 2013 by Brenna. I had heard about the wonders of Aquaphor Healing Ointment, but it wasn’t until my aesthetician, Niki Johnson from Retief Skin Center (she’s the best facialist/microdermer/dermaplaner/face detoxer in all of Nashville – promise!) gave me some for this friend I have who picked at a zit too much… that I… I mean my friend, realized how amazing this stuff is. It healed up the problem in no time flat. It works wonders on cuts or infections and you can also use it as an eye cream and lip balm. I’m officially obsessed. AND it’s a drugstore product aka it’s cheap. It was initially intended for dry cracked skin as shown on bottle, but you can use this for pretty much any skin problem you might have! What are some of your favorite drugstore products? This entry was posted in Health and Beauty and tagged Aquaphor, Aquaphor Healing Ointment Review, Aquaphor Review, Brenna Mader, Great Drugstore products on September 26, 2013 by Brenna. What leather pieces can you not get enough of? Don’t forget to enter this week’s giveaway! This entry was posted in Style and tagged Brenna Mader, fall fashion, fall trends, leather lustings, leather obsession, new ways to wear leather on September 25, 2013 by Brenna. Thus far I’m feeling good! Occasionally I have a mild headache, which is normal in the first few days of cleansing. Along with taking the supplements, in order for this cleanse to be totally effective, you have to follow a pretty strict diet. No dairy, no flour, no alcohol, very limited sugar aka almost no fruit… it’s about 80% vegetables with 20% grains (and/or meat if you go that route) thrown in. To me, it seems like good motivation to get back into good eating habits and cleanse myself of an overindulgent summer. I’ve done cleanses in the past with raw juice and by following a strict diet, and if this one has similar effects, I’ll be looking forward to the drastic increase in energy! If you think you might like to detox too you can win by either liking the new Wanderlust and Glitter Dust Facebook page or by following me on twitter! (Be sure to enter via the widget below or I won’t know that you’ve entered!) You can also gain extra entries by tweeting about the contest or following me on Instagram (@misstnusa). This entry was posted in Health and Beauty and tagged Brenna Mader, cleanse, detox, Garden of Life, Garden of LIfe Wild Rose Herbal D-Tox, Garden of LIfe Wild Rose Herbal D-Tox Giveaway, Garden of LIfe Wild Rose Herbal D-Tox Review, Get fit, get healthy on September 24, 2013 by Brenna. Tracy Stanz! Congratulations Tracy! Email me your address to info@wanderlustandglitterdust.com and we will get it shipped out to you! Thanks again to Garden of Life for making this awesome giveaway happen. If you didn’t win this one, come back tomorrow – a new giveaway is about to get started! This entry was posted in Food, Health and Beauty on September 23, 2013 by Brenna.